My life has certainly been one exciting journey since I started working in Indigenous communities in Queensland in 2009. Prior to that, I had spent 25 years working in the corporate world. Quite a change, I can tell you. I’m now starting another adventure whilst I continue my community work. I’m starting this blog about my past and present experiences, in collaboration with David Clark of Sharing Culture. I’m hoping that this will blog will eventually turn into a book of my story. David is also trying to raise funding to make a documentary and create an educational resource based on my work in Indigenous communities. Exciting, profound and deeply meaningful… it’s all about sharing great news stories. I can’t wait! So let me introduce myself. My name is Annalise Jennings and I live in Melbourne, Australia. I have a long way to travel to work. It’s over 3,500 miles to Cape York in Queensland. My parents emigrated to Melbourne from Palermo in Sicily in the 1960s. I still feel a strong connection to my home country. I have a strong sense of belonging and connection to Mother Nature. I didn’t go to university after school, as I was keen to work and in a hurry to be financially independent. I found work in Banking. I didn’t initially take my jobs too seriously. Eventually, however, as a single mum and at the age of 38, I decided I must create a secure financial future for my two boys. So, l made the decision to go to university during the evenings whilst working full-time in the day. I focused on having a successful corporate career, gaining a promotion each year. Within a few short years, l joined senior management. I became very interested in psychology and in human dynamics. I wanted to know what it took to create a great risk culture and a top-class organisation. I started to write about these issues and developed a programme on risk culture which won a global business excellence award. Part of my programme focused on issues like the importance of community ownership, community responsibility, social cohesion, issues which were to become part-and-parcel of my work in Indigenous communities. This sort of programme had not been done before and I put my heart and soul into the work. Somewhere along the line, I developed a dream of working in a community. I wanted to develop a successful community, but I had no idea how or when. 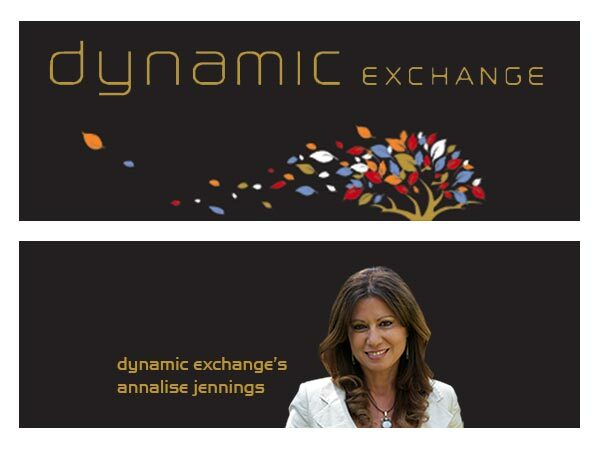 In good faith, l registered my business name Dynamic Exchange. It would be two years before l would find the courage to leave Corporate and venture into my own business. Please read about my work in the Cape York Indigenous community of Napranum.